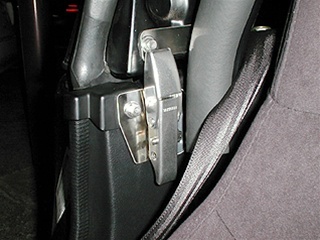 When a roll cage is installed in the vehicle with a hardtop, the main arch in the roll cage interferes with the strap behind the door making it impossible to use. The Beatrush center strap makes the hardtop fit firmly by forward offsetting the installation position. Making the hardtop safer because it’s locked completely in 6 points.